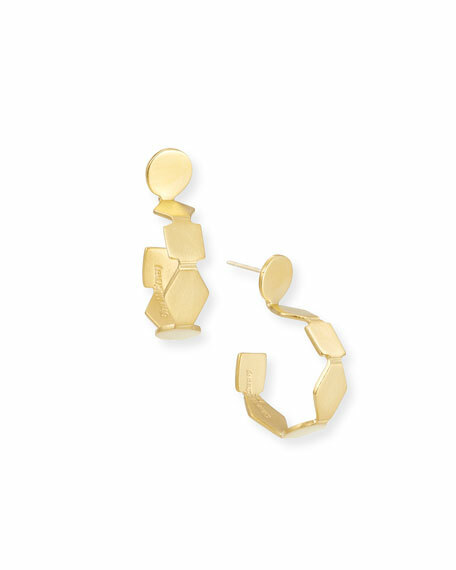 Matte gold vermeil and geometric shapes make these Dina Mackney earrings ideal for everyday ensembles. 18-karat yellow gold vermeil geometric shapes form hoop silhouette. Approximately 1 1/3" drop; 1" diameter.